What email notifications you and your employees can expect to recieve when giving and requesting feedback. Notifications letting you know that feedback has been given, received, or requested is important, and we want to surface that within a tool you use often - email! 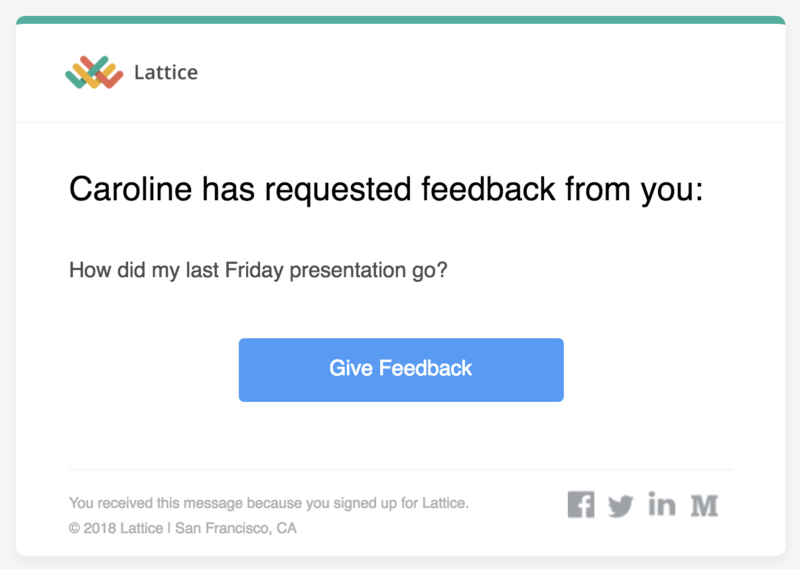 If someone requests feedback from you, you'll see an email letting you know who has requested the feedback and what feedback they've requested. 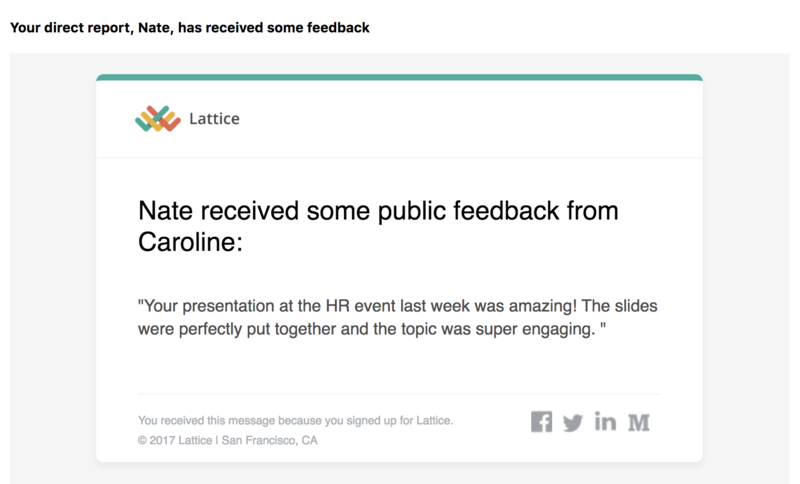 If someone gives you feedback, you'll receive an email letting you know that you've received feedback. 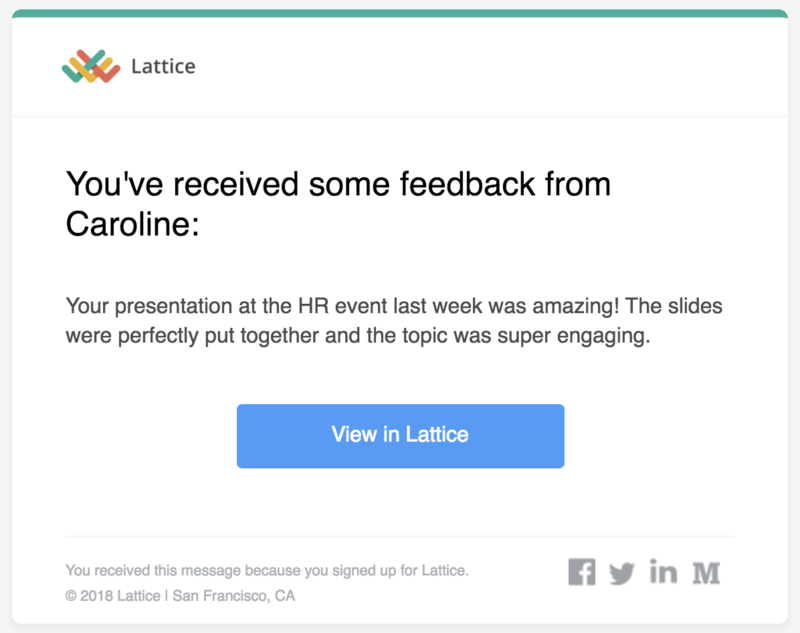 As a manager, when your direct report receives feedback, you'll also receive an email.